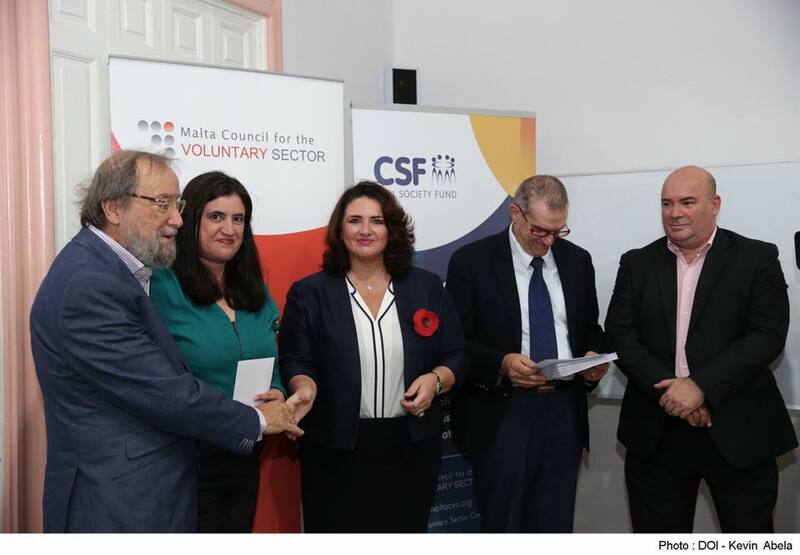 Yesterday a number of Civil Society Organisations, including Voluntary Organisations, received financial support under the Civil Society Fund now managed by the Malta Council for the Voluntary Sector on behalf of the Ministry for Social Dialogue, Consumer Affairs and Civil Liberties (MSDC). Through the Civil Society Fund the Ministry enables civil society organisations to be active players in their respective sectors, thereby bridging the gap between EU-level policy-making and Maltese grassroots realities. In yesterday’s grant award ceremonies 42 organisations were granted a total amount of €324,324.60. These funds were distributed by the Hon. MInister Helena Dalli in the presence of Mr. Joseph Camilleri, Permanent Secretary MSDC and Mr. Mauro Pace Parascandalo, Executive Secretary MCVS.